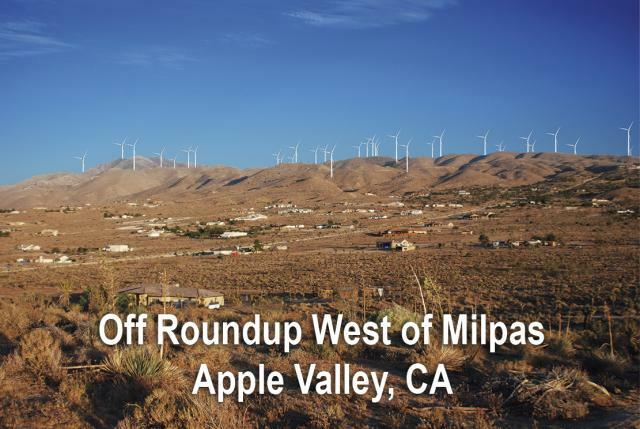 LUCERNE VALLEY – What would the southern hills of Lucerne Valley and Apple Valley look like with more than 70 500-foot-tall windmill towers dotting the landscape? Lucerne Valley resident Bill Lembright and graphic artist Debbie Schultz decided to find out. First, Lembright went on a “tootle” to areas that would be affected if the North Peak Wind project becomes a reality. Lembright shot numerous photos of Coyote Flats, just north of Coxey Meadows, and to other areas whose vistas would be adversely impacted if the project is approved. Meanwhile, Sloane shot pictures from Apple Valley of the local hills, including the Juniper Highlands and Marianas areas that also would be impacted. “(This is what) it will look like if we citizens allow North Peak Wind to build their inefficient, government-blessed 500-foot wind tower monstrosity on the north slopes of our beautiful San Bernardino Mountains,” Lembright said. Then Schultz, who has 25 years of experience with Adobe Photoshop, Illustrator and InDesign, got to work. The artistic renderings immediately had an impact, Lembright said. “As soon as all the composite photos before and after taken from the desert and the mountains were published, public outcries increased,” Lembright said. At the heart of that increased interest is a disturbing reality, according to Lembright. “This 26-acre industrial wind farm is not at all suitable on the slopes of White Mountain, destroying the terrain, plant and animal habitats, the matchless views, destroying local property values, making it much more difficult to fight forest fires with air tankers, and slaughtering eagles, ravens, turkey buzzards, and bats on a massive scale,” he said. The graphic design/photographic project by Lembright and Schultz will be a part of the agenda at the next Lucerne Valley Economic Development Association meeting on Tuesday, Aug. 5 from 5 to 7 p.m. at the Lucerne Valley Senior Center.